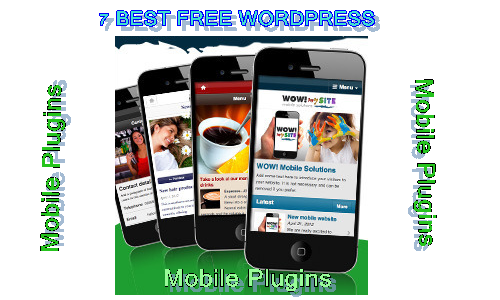 WordPress experts always recommend WordPress based website owners to update their WordPress themes to the latest version. It ensures your theme possesses all the latest features and is up-to-date with security patches. You can update your WordPress theme by many ways. In this post, I’ll explain various methods to do the same without losing the customization you made to it. Note: Before making any changes on your site or updating your theme, make sure you back up your site (you can do in your hosting cpanel), so in case something goes wrong you can easily revert it back to normal. You’ve been warned! Whenever a new version of your WordPress theme is released, WordPress dashboard will notify you to update your theme to the latest version. You can update it by clicking the update now button by navigating to Appearance > Themes in your WordPress dashboard. Since the release of WordPress 3.7, it allows you to automatically upgrade your WordPress theme without having to update it manually, so you can make sure that you always use the latest version. 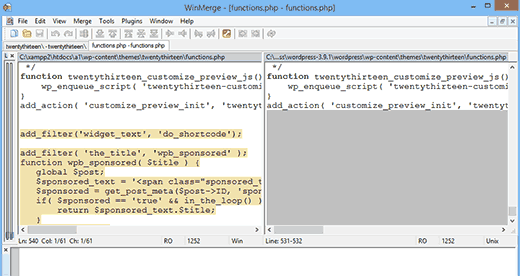 To automatically update your theme, all you need to do is to add the following code snippet to your functions.php file. This feature will only work for the themes that are downloaded from WordPress official theme directory. If you’re using WordPress themes downloaded from a third-party website, make sure you follow their instructions for updates. While updating your theme automatically is the easiest way to ensure that you get the latest version of your theme with enhanced functions and most importantly security fixes, it is not recommended for you especially if you’re not using a child theme and made all the customization on your parent theme. 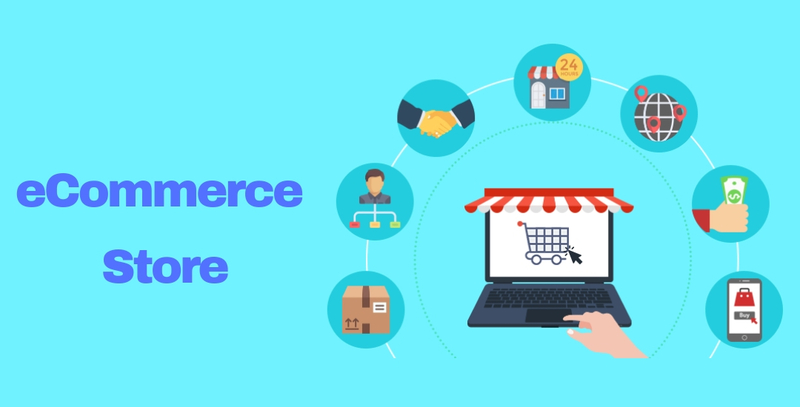 As you may know, one of the biggest benefits of using WordPress is that it is very flexible out-of-the-box, so you can easily enhance its features by simply adding a code snippet to your functions.php file. In an attempt to enhance the features, most beginner WordPress users simply tweak their parent theme file by directly customizing the CSS or functions.php files. This is a wrong practice to follow. First of all, when you update your theme, you’ll lose all the tweaks you made to it. 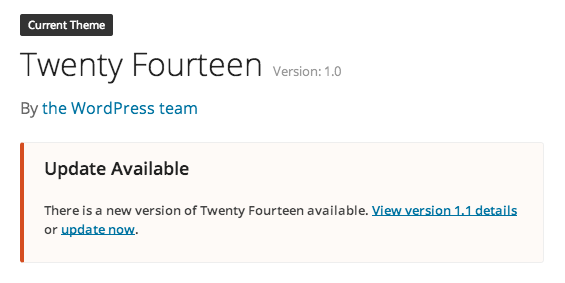 Secondly, automatic updates can even make your site broken. How do you preserve all the tweaks without breaking your site? It is by using a child theme. Even if you’re not a developer, you can easily learn how to create a WordPress child theme. 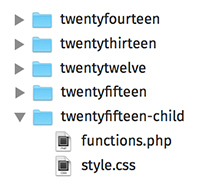 That said, not everyone will require a child theme. If you’re planning only for making slight changes to your CSS files, you can either create a custom CSS file or install and use a plugin like custom CSS, so you don’t need to create a child theme. For example, this site is built on a child theme for Genesis framework so even if there’s any update for our Genesis framework the customization wouldn’t be lost. To sum up, if the changes are extreme, it is better to create a child theme. What if you’re not currently using a child theme and did customization on your parent theme already? How do you preserve the customization even after updating it? One of the solutions is to simply copy the tweaks and paste it to your latest theme after updating it. However, the problem here is you don’t always identify all the tweaks you made. Then, how do you identify it and replicate it to your new theme? Use a file comparison software like WinMerge if you’re on Windows, Kaleidoscope for Mac. Step 3: Compare and copy the tweaks. Right-click on a file and click Compare to see the changes on both themes. You can easily identify what changes you’ve been made to your current theme. Now that you found the changes, all you need to do is to copy the tweaks to the latest version of your theme. Once done, overwrite your current live theme by uploading it to your WordPress theme directory using FTP or WP File manager plugin. That’s it! Once done, verify whether the tweaks are retained on your site and everything works fine. We hope this post will help you to update your WordPress themes without losing any customization you made to it. Make sure you backup your content and database, so you won’t lose anything even if something goes wrong. What is your preferred way to update your WordPress theme? Do you use a child theme for you WordPress website? Share your thoughts and concerns with us in the comments section below. Shahzad Saeed is specialized in blogging and content marketing for startups and small businesses. You can hire him for your next writing project. Shahzad has written 1 awesome articles for us.